Use for: tourism; tailor shop, hotel, home, dormitory, etc. product quality: The quality is best ,it passed the ETL approval and get the ETL cerificate! Wattage support: 110V-240V, suit to all coutry in the world! give the plug that suit to your country! Working time: If you choose the I button , it needs 20 seconds to heat up and the work time is 8-10 minutes; if you choose the II buton, the heat up time is 45 seconds,the working time is 18 minutes. Fast shipping: ePacket: United States, Russia, Australia, Canada, France, Great Britain, Israel, Ukraine; other country: HongKong Post Air Mail or China Post Registered Air Mail etc.maining base on our buyer. Main function: This steamer main function is to iron your garment smooth and make ironing all kinds of fabric textile’s wrinkle gone out ! 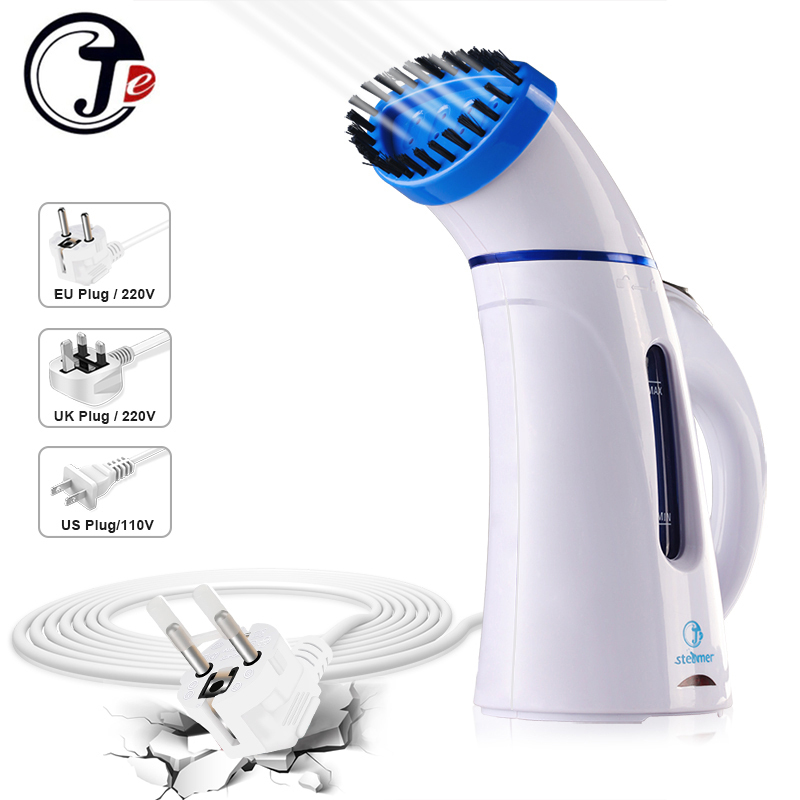 This garment steamer can make the textile or fabric soft and gentle ,fast to remove the wrinkles;safely be used on all fabrics,silk or curtains; and also can be used for fabrics where ironing is not an option. Improtant Features a safety auto shut-off protection that shuts the steamer when the water level gets too low or when the unit becomes too hot.